BY SOLDERING together 1500 quart oil cans, Edgar Speer, Ohio mechanic, has constructed a novel playhouse for his small daughter. 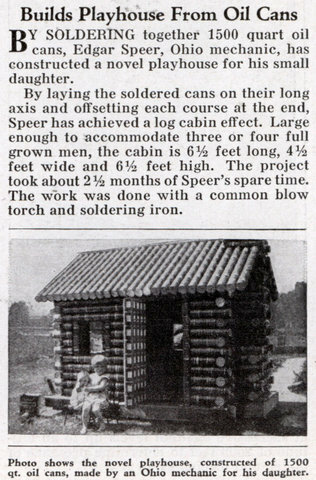 By laying the soldered cans on their long axis and offsetting each course at the end, Speer has achieved a log cabin effect. Large enough to accommodate three or four full grown men, the cabin is 6-1/2 feet long, 4-1/2 feet wide and 6-1/2 feet high. 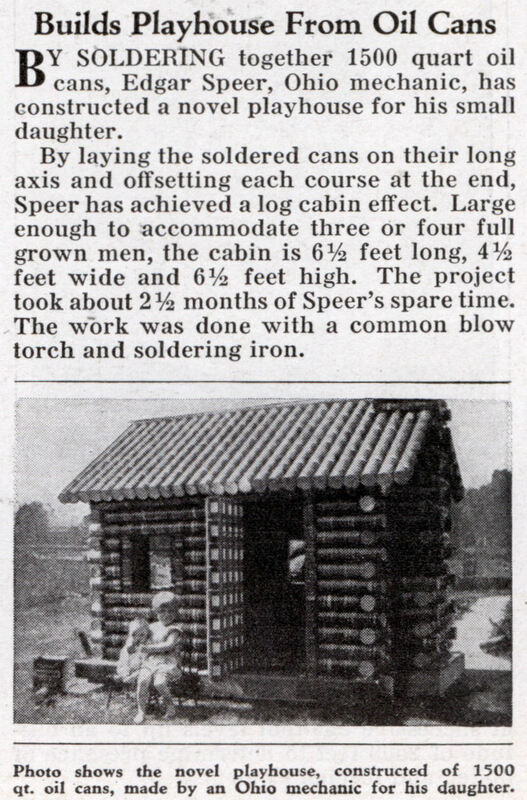 The project took about 2-1/2 months of Speer’s spare time. 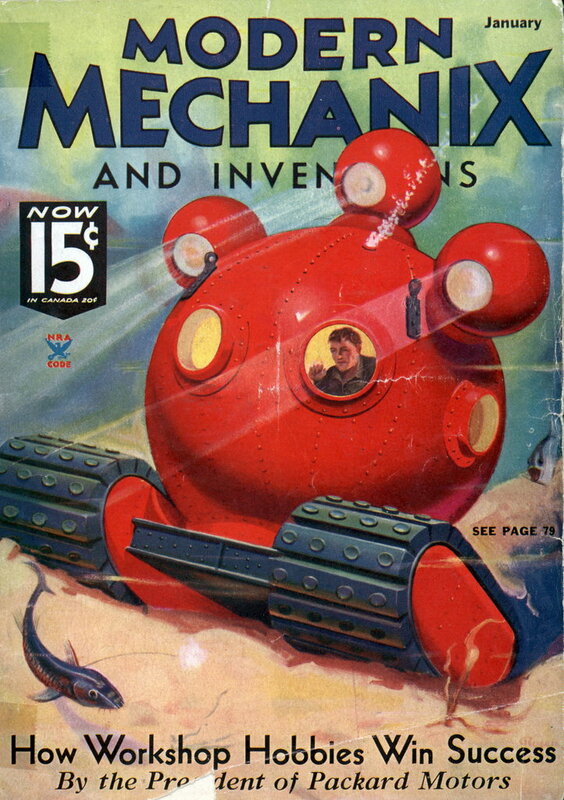 The work was done with a common blow torch and soldering iron. Wonder how much lead is in that thing. Seems like a good idea but you have to change the roof every 3,000 miles.